Jeff is Co-Founder and Director of The Running Plan, based in Kuala Lumpur, Malaysia. Jeff is an experienced running coach, specialising in 10-42km distances and multi-day endurance event ultras. Jeff originates from Scotland, living in Malaysia since 2011. 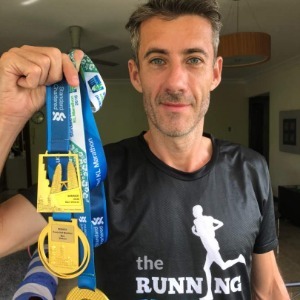 At high school, he participated in cross-country running and track athletics, and in 2013 he returned to running after many years playing squash as his primary sport (at which he is a qualified coach and referee). Jeff enjoys both road running and trail running, and he is a regular race winner in Malaysia for both disciplines. Jeff coaches many of the local elite runners, as well as many beginners and intermediate fun runners. Currently The Running Plan trains approximately 100 runners per week and this number is growing each month! Please refer to https://therunningplan.com/about/ for a full bio. Success. Coach Jeffrey Ross has been notified of your message.